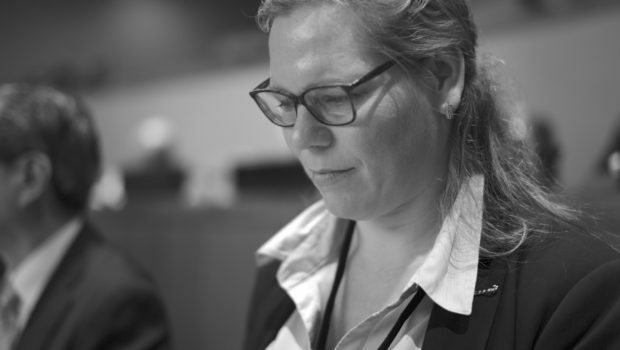 On the third day of the UN Conference to Negotiate a Legally Binding Instrument to Prohibit Nuclear Weapons Susi Snyder delivered a statement on behalf of PAX. In her statement Susi Snyder recommended all States to reinforce the prohibition on assistance by including an explicit reference to investment or financing. 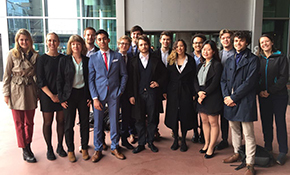 The main benefit in making explicit the growing understanding in international law that financing constitutes a form of assistance. In examining what should be included in the core prohibitions of the treaty, the operative paragraphs, PAX has some recommendations. This new treaty should comprehensively prohibit activities related to making, getting, having, using nuclear weapons, as well as outlaw any assistance of those prohibited acts. In other words, activities like development, production, testing, acquisition, stockpiling, transfer, retention, deployment, or use of nuclear weapons need to be banned. Logically, it follows that helping to do these prohibited acts, through assistance, investment, encouragement, or inducement should of course also be prohibited. I will focus my remarks today on the issue of assistance, as understandings around assistance are shaping the impact of treaties and help build the norms that give weight to these discussions. Assisting anyone to make, have, get, or use nuclear weapons in any way would run counter to the intent of a nuclear weapons prohibition treaty and providing financial resources to companies involved is assistance. It is important to reinforce the prohibition on assistance by including an explicit reference to investment or financing. The main benefit is making explicit the growing understanding in international law that financing constitutes a form of assistance. Including a ban on financing was already suggested in the final report of the Open Ended Working Group. Financial institutions make their own judgments, but also look to governments to provide clarity on what constitutes unethical investment. 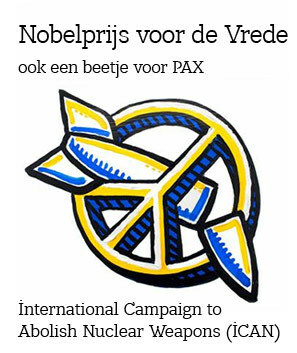 For example, our research shows that many financial institutions refer to the NonProliferation treaty (NPT) as a justification for the exclusion of nuclear weapon producers. 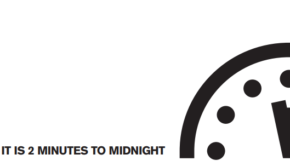 A significant number also refer to the NPT to argue that nuclear weapons are not comprehensively prohibited and therefore still a legitimate investment. 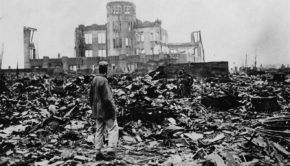 The inclusion of a prohibition on financing in a new treaty banning nuclear weapons would make it clear that the nuclear weapon business is not legitimate, just as nuclear weapons are not legitimate. 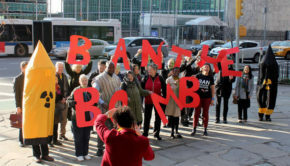 Including a specific prohibition on the financing of prohibited acts in the nuclear ban treaty is in line with the vision driving the treaty – to codify the illegitimacy of nuclear weapons. It will limit the flow of financing to the companies involved in nuclear arsenals and thereby have a concrete impact beyond the countries that initially accede to the treaty. It would also provide clarity to financial institutions and stimulate the strengthening of existing policies and practices of financial institutions in acceding countries. The International Convention for the Suppression of the Financing of Terrorism (ICSFT) is built on the recognition of the idea that financing provides a crucial form of assistance. This convention has been a guideline for some States to adopt national legislation to implement the Convention on Cluster Munitions, and specifically include a prohibition on the financing of cluster munitions. This illustrates the growing understanding that financing is a form of assistance, and that if assistance with certain acts is to be banned, so should financing. This will build on the interpretation of other weapons prohibitions as well as provide clarity and guidance to the investment community. The Convention on Cluster Munitions prohibits the assistance, encouragement or inducement of anyone to engage in prohibited activities. The ICSFT goes further by not only prohibiting the provision of funds to anyone, but also by anyone. 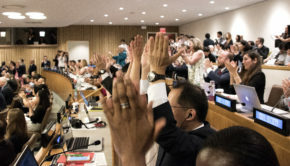 Adopting similar language in a nuclear weapons treaty could therefore prohibit its parties, their nationals, and any other individual or entity subject to its jurisdiction from the assistance, encouragement, inducement or investment in acts prohibited by the treaty. As the colleague from Nigeria has said, the treaty should be “precise, concise, simple and, unambiguous”, “lean, but robust” as the colleague from Ireland said.